FAYETTEVILLE, Ark. 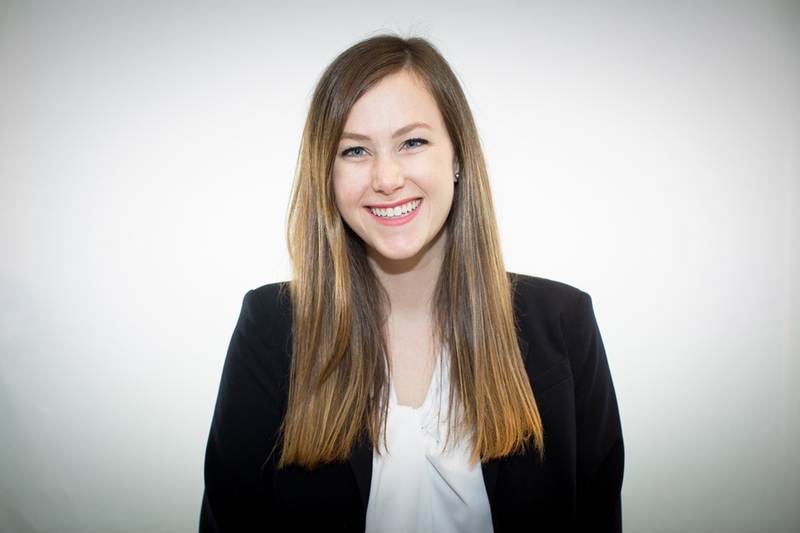 – Danielle Neighbour, a University of Arkansas Honors College Fellow and senior civil engineering major in the College of Engineering, has been named one of this year’s Schwarzman Scholars. She is one of 129 students from 30 countries and 75 universities who will receive a full scholarship for graduate study at Tsinghua University in Beijing, one of China’s premiere universities. This year 2,747 candidates from 119 countries competed for the award. Neighbour is the first University of Arkansas student to receive the prestigious international scholarship. She is from Lenexa, Kansas, and is the daughter of Rhonda and Robert Neighbour. Neighbour is a member of the second class of Schwarzman Scholars. The master’s degree scholarship program was founded by Blackstone chair, CEO and co-founder Stephen A. Schwarzman. The scholarships are intended to recognize future leaders in a broad range of activities, educating and preparing the world’s most exceptional men and women to confront the most difficult challenges of the coming century, at the same time developing an understanding of China that will be essential to leading in the future. Neighbour is eager to start the program and said she has already started practicing Mandarin. "I'm incredibly excited to participate in the second cohort of Schwarzman Scholars at Tsinghua University,” Neighbour said. “I'm grateful for the opportunity to spend a year learning from global leaders in preparation for a future dedicated to public service. It's an honor to be the first to represent the University of Arkansas in the Schwarzman program and I am deeply thankful for the support of U of A faculty, staff, my family, and my fellow students. I'd especially like to thank the Office of Nationally Competitive Awards, the Honors College, and the College of Engineering for their integral roles in making my undergraduate experience such a positive one." Neighbour plans to pursue a career focused on improving access to clean drinking water in developing nations, a passion she developed at the University of Arkansas and which has already taken her around the world. As an undergraduate engineering intern for Reach Beyond International she helped install point-of-use drinking water technologies in southeast Ecuador, where she designed potable water systems in the Andes Mountains and indigenous Amazon jungle communities. She is fluent in Spanish and she worked side-by-side with members of these communities to ensure that reliable drinking water was available. She also developed an education program about a recently installed water tower for the residents of an inland village in Belize. Neighbour also worked in Vietnam, where she realized there was a significant health issue associated with contaminated drinking water. She organized an effort to inform farmers about the problem and led a group to design a purification process, easy and inexpensive to create and maintain. She is currently researching water purification methods for natural disaster relief in developing urban areas. This is the second nationally competitive scholarship Neighbour has received. Last spring she was one of 59 students — and one of two U of A students — to be awarded a Truman Scholarship of $30,000, to be used toward her graduate studies. Truman Scholars are selected on the basis of their academic success, leadership skills, and the likelihood of their becoming public service leaders. The Schwarzman Scholars were selected through a rigorous and thorough selection process designed to evaluate leadership experience and potential, intellectual and academic ability, strength of character and the capacity to understand emerging trends, design solutions, and inspire others to a vision. The applications were reviewed by a team of readers from around the world with 300 semi-finalists invited for in-person interviews in Beijing, Bangkok, London or New York before international panels composed of CEOs, former heads of state, university presidents, non-profit executives, journalists and other leaders. The scholarship is fully funded for all participants, including travel costs and a personal stipend, and is supported by the program’s endowment. Scholars will live and study together at Schwarzman College, the dedicated state-of-the-art academic and residential building built exclusively for the program at Tsinghua University. Scholars will study public policy, economics and business, and international studies, and spend a year immersed in an international community of thinkers, innovators and senior leaders in business, politics and society. They will learn from one another in an environment of intellectual engagement, professional development and cultural exchange, and pursue their academic disciplines while building their leadership capacities. The purpose of the Schwarzman Scholars program is to provide an experience that will expand students’ understanding of the world and create a growing network of global leaders for the future. About Schwarzman Scholars: Schwarzman Scholars was inspired by the Rhodes Scholarship and is designed to meet the challenges of the 21st century and beyond. Blackstone co-founder Stephen A. Schwarzman personally contributed $100 million to the program and is leading a fundraising campaign to raise an additional $350 million from private sources to endow the program in perpetuity. The $450 million endowment will support up to 200 scholars annually from the U.S., China, and around the world for a one-year master’s degree program at Tsinghua University in Beijing, one of China’s most prestigious universities and an indispensable base for the country’s scientific and technological research. Scholars chosen for this highly selective program will live in Beijing for a year of study and cultural immersion, attending lectures, traveling, and developing a better understanding of China. Admissions opened in the fall of 2015, with the first class of students in residence in 2016.